Chris Christie Is Writing His MemoirsThe former New Jersey governor’s book promises to “set the record straight” on his time in the Trump circle. Watch Chris Christie Heckle a Voter on Election Day“It is serving folks like you that is really such a unique joy,” Christie said sarcastically. 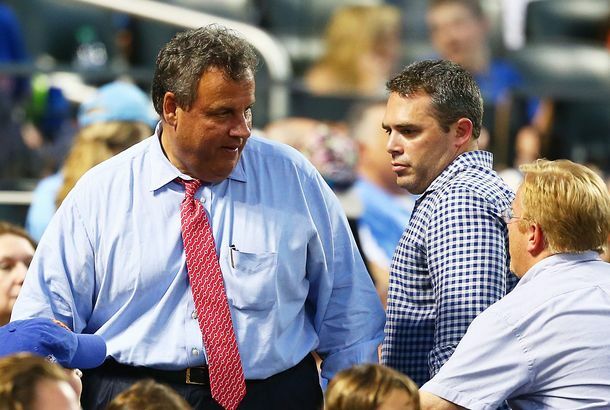 Chris Christie Says He Was Acting ‘Restrained’ When He Didn’t Dump Nachos on GuyYous guys should give him some credit. 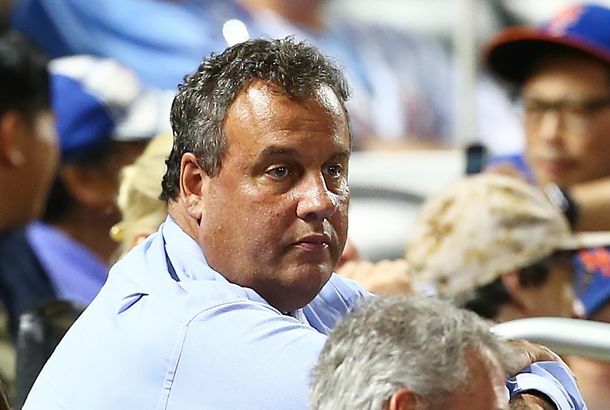 Chris Christie Is Having a Terrible SummerA look back at the New Jersey governor’s recent humiliations. Chris Christie Confronts Heckler, Doesn’t Drop a Single NachoHe’s had some experience yelling at “big shots” while handling snack foods. Trump Dropped Christie Over Cell-Phone Germs, or Maybe All the Other ProblemsA new book claims Trump didn’t want to use the governor’s phone for his congratulatory call from Obama. Christie Beachgate Twitter Is Almost As Fun As Lounging on a Closed State BeachLet them eat sand. New Jersey Lawmakers Won’t Let Christie Strike Book Deal, Get ‘Revenge’ on PressRepublicans and Democrats turned against bills that would have raised government salaries and cut a significant revenue stream for newspapers. Chris Christie’s Signed Gym Shorts for Sale on eBayMusty. Trump Rewards Christie’s Obedience by Mocking Him to His FaceYes sir, he would like another. Chris Christie Excited About Upcoming Vacation/Political Suicide MissionThe governor is heading out of state with NJ Transit facing a devastating strike. Chris Christie Still Prefers Death to Serving in Congress“I would rather jump off the Brooklyn Bridge,” he says. Chris Christie Considers Himself a Scandal Role ModelIf only Hillary Clinton and Barack Obama managed crises as well as he handled Bridgegate. Chris Christie ‘Tells It Like It Is’ (When He Isn’t Dodging the Question)He’s turned avoiding tough topics into an art, but now he’s vowed to always tell voters what he’s thinking. Chris Christie Is ‘Telling It Like It Is’ in First Campaign VideoBut he’s not telling voters about his scandal-plagued tenure as New Jersey governor. Chris Christie’s Terrible, Horrible, No Good, Very Bad Month Gets Even WorseA judge ruled that his pension move was illegal. Did Chris Christie Miss His Chance to Be President?GOP donors seem far less enthusiastic than they were four years ago. Chris Christie Faces New Federal Criminal InvestigationA prosecutor claims he was fired for going after Christie’s political allies. Chris Christie Stars in Lifestyles of a Rich and Famous GovernorFeaturing Champagne, parties with Bono, and lots of private jet rides. Christie Forms PAC, Declares He’s a Candidate for … Something“Leadership matters,” except when you’re easing into a presidential race. Chris Christie Sounds Pretty Ready to Run for President His Tuesday State of the State address seemed aimed at an audience beyond New Jersey. Politicians Mock Chris Christie After His Beloved Cowboys LoseIncluding Paul Ryan and Scott Walker. Christie’s Cowboys Hug Looks Bad in More Ways Than One It turns out that Jerry Jones has a stake in a Port Authority project. 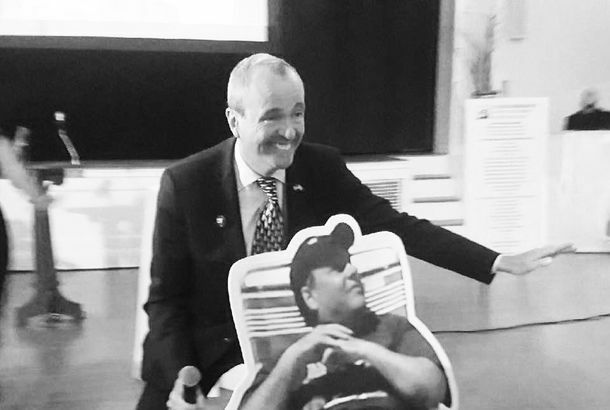 Celebratory Dallas Cowboys Hug Costs Christie 2016 ElectionThe governor’s little brother defended his traitorous cheering. Chris Christie Tells Hurricane Sandy Protester to ‘Sit Down and Shut Up’At an event marking the two-year anniversary of the storm. People Don’t Like N.Y. and N.J.’s Ebola PolicyFrom the CDC to the nurse stuck in Newark. Chris Christie ‘Would Rather Die’ Than Be a U.S. SenatorStop forcing him to run for prestigious political offices. Chris Christie Is Upset That President Obama Faulted Staffers, Not HimselfNobody gets to use the Bridgegate defense except Christie. Here’s What Chris Christie Did on His Summer VacationKissed a lot of babies, didn’t get charged with a felony. Chris Christie Loses It Over Bruce SpringsteenThe governor insists he and the Boss are cool, and on a first-name basis. Chris Christie Just Realized He Supports the Hobby Lobby RulingAfter repeatedly dodging the question. Chris Christie on Bridgegate Scandal: ‘You’ll Get Over It’He assured GOP donors they have nothing to fear. Chris Christie and Jimmy Fallon Perform ‘The Evolution of Dad Dancing’Naturally, it involves both Springsteen and Bridgegate. Ex-Aide Says That Chris Christie Lied to the Press About Bridgegate Knowledge Or “misspoke,” as Bill Stepien’s lawyer put it. 9/11 Museum Ceremony Narrowly Avoided Chris Christie JokeNot the time. Chris Christie Picks a New Guy to Run the Port Authority We assume John Degnan knows what he’s getting into. Chris Christie Says GOP Should Be ‘Pro-life After They Get Out of the Womb Too’While speaking about criminal justice reform. Judge Rules That Bridgegate Aides Don’t Have to Turn Over DocumentsCiting their right to avoid self-incrimination.